Every IH school is inspected and every inspection report has a section on compliance with the IHWO Teacher Charter. Within this section there is an area related to Educational Support and Teacher Development. Unfortunately, the inspection criteria do not call for the use of vegetables (!) in the assessment of this area. However, this article will provide some food for thought regarding how a steady diet of onions can lead to fruitful discussions during teachers’ and staff Professional/Personal Development Interviews (PDI)! For those of us not already aware, the PDI is an integral part of the development process for both managers and staff/teachers. The process provides insight into both what employees want to work on in the coming year and indeed what has and has not worked over the last year. 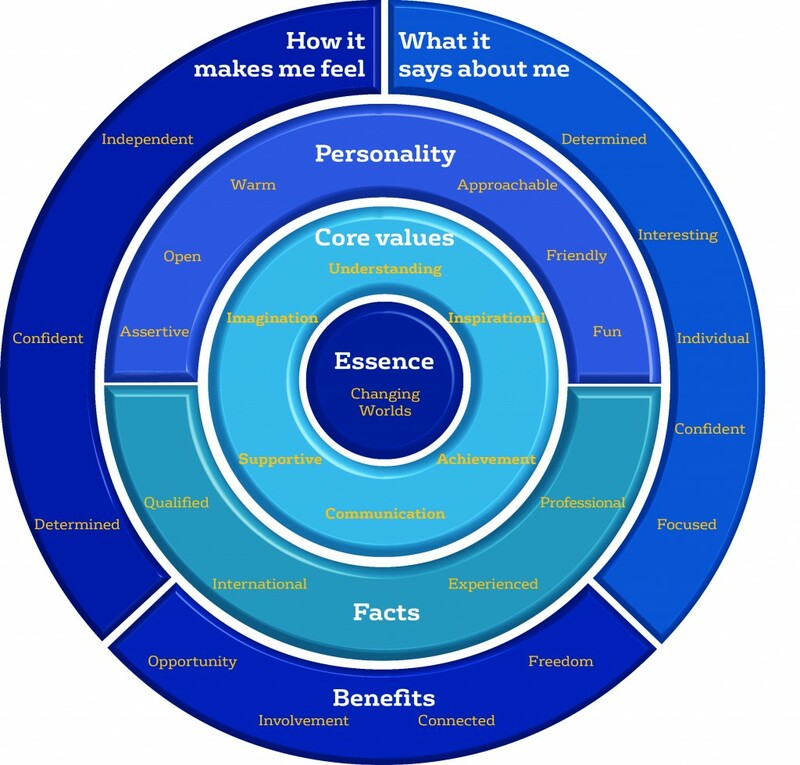 The Brand Onion (see below) could provide managers with an opportunity to survey the status and needs of the organization at least once a year. (Put a copy of the IH Brand Onion on the final page of your PDI form.) Please look at the Onion and the words you see there. After some reflection, which words do you feel represent you and your year here at IH (insert school name); which words represent IH (insert school name)? For example, under Benefits there is the word FREEDOM, if you believe you have had FREEDOM to expand and to teach as you wish, experiment, etc. then put down FREEDOM, and do the same thing for the other words. Which words do you feel do not represent IH (insert school name) or your year at the school? For example, the word APPROACHABLE, if you feel you were not APPROACHABLE, or someone in the organization was not APPROACHABLE. Please write this word in this section or any other words. Let’s say you did just that, added these two sections and the Brand Onion to your PDI form. Like any good communicative approach, it still needs instructions, ICQs and CCQs. Therefore, before sending out the PDIs it may be prudent to have a short session with all staff to discuss both yours and their expectations. Some expectations may come in the form of: a. You will do this; b. This is what you will do; c. We have an opportunity to find out what we are doing well and not so well by doing this as part of our yearly PDIs. The next step might be to walk your staff through the Brand Onion (if you’re lucky you have some sort of interactive whiteboard. If not, I’ve heard rumors of some device called an OHP though this is, as yet, to be confirmed). Here you can provide some of your own examples such as: I feel determined, especially when it comes to the timetable but sometimes I do not feel very supportive or supported because doing the timetable is a total buzz kill. Once you have distributed the PDI form and set the completion deadline and then received back the completed forms and scheduled all the PDIs, this is the opportunity to take a look at what people think about themselves and the organization in both positive and not so positive terms. You may even consider what questions you will ask about why people considered writing certain things for each of the questions. The objective shouldn’t be to ask about all the bad but it should be an opportunity for an employee to talk about good things that happened over the last year. More importantly, with reference to things that do represent your school and your employee, this is a unique opportunity to let the employee discuss future goals and their plans at the school for the following year with the help of the ‘brand onion’ words. In the ‘not representative’ section” the opportunities seem endless or a dead end. An initial response might be to use the George W. Bush school of management “you’re either with us or you’re with the terrorists” terminology; though I am pretty sure that most management books, as well as Maureen McGarvey, believe this may not be the appropriate approach to this section of the PDI. After your initial desire to invade Iraq wears off you can begin to consider opportunities to ask employees such questions as “why do you think that?” “how can we work toward changing that?” “Is this something you feel is unique to you? If so, let’s create a plan that overcomes this roadblock.” This is an opportunity to ask about possibilities for improvement, allowing employees to let off some steam in a closed environment (i.e. not in front of the whole school) and put forward possible solutions as well as generating conversation afterward among all employees about possible solutions. I feel compelled to bring up the obvious benefit of using this approach – the opportunity for communication between management and employees and how by doing so, all ‘stakeholders’ feel they have a vested interest in the PDI process as opposed to “we’re only doing this because we have to” attitude. While the Brand Onion words have become seminar- speak, they are actually a basic tenant of 21st century management style. There is nothing that says you have to do any of this, just that you do PDIs. However, you could consider this as a way to mix up your previously used PDI forms and add some color at a minimum. Afterward you can then track progress and focus the subsequent PDIs towards these words that have come up. Author’s Bio: Mark has been DOS of IH Kyiv since 2008 and began work in Kyiv in 2007. He teaches ESP among other things. He has worked within the IHWO network of schools since 2005 having also worked at IH Dhahran.